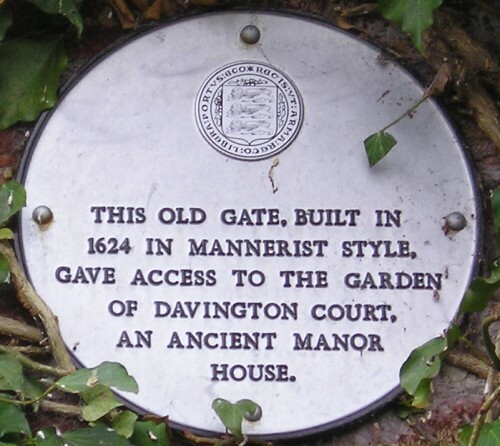 Davington Court, located near Dark Hill in west Faversham, had once been a big, luxurious mansion, grand enough for the Sheriff of Kent, Sir James Walsingham, to be based there in 1496-97. In or around 1621 it was demolished, and replaced by a much smaller 'new' house converted from one of its outbuildings. 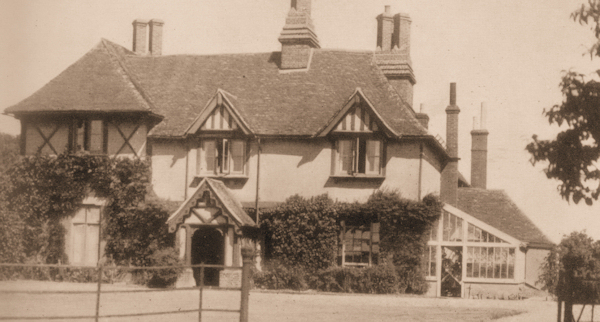 Thomas Milles, who died in 1637, was also owner of Davington Court for a time. 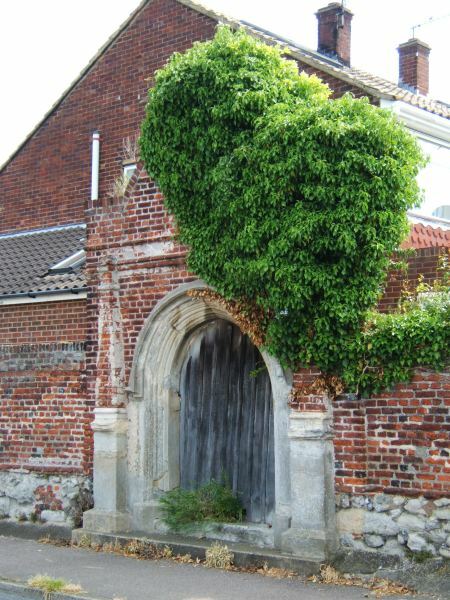 Marked by a wall plaque, the mannerist-style gateway built in 1624 is still to be seen in Old Gate Road, Faversham. It was built as one of the entrances to the 'new' Davington Court's kitchen garden. In fact this incorporates a medieval stone arch surviving from the original Davington Court, and there are two other such survivors near by.